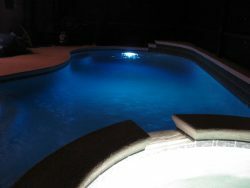 Besides locating the model number and the manufacturer’s name, when it comes to pool lights, pool owners tend to have two concerns, how do you turn your pool light on/off and how do you toggle between light shows? Let’s explore the various ways pool owners can control their pool lights. Let’s play a quick game. Name something you didn’t know you needed until after you had bought it. Okay, so what did you think of? You probably didn’t mention a swimming pool light, but that’s okay, I will add that to the list. Swimming pool fixtures are definitely a “must- have” feature around your swimming pool. First, pool lights allow you to take full advantage of your pool, day or night. Most people might assume that the majority of pool owners use their pools during the day while the sun is out, but that’s not always the case. Sure, you can swim at night without a pool light, however, it’s definitely not the same. Not to mention, extra lighting gives swimmers peace of mind because you never know what jumped into your pool while you weren’t looking. On top of that, pool lighting provides an extra layer of security for pool owners. Pool lighting gives parents and chaperones better visibility of the bottom of the pool, especially towards the deeper end. For the most part, pool lights are exactly like any other light in your home. The only reoccurring question we come across is how do you control the actual light? Much like any other light in your home, the most common way to control your pool light is with the use of a traditional ON/OFF switch. You can simply flip the switch up or down to turn on or off your pool light. Sometimes though, the most difficult part is finding the correct switch. We once had a customer who, after moving into a new house, could not turn the pool lights off. The lights would constantly stay on all day and night. Until one day it finally turned off. At first, she and her husband assumed that the bulbs were dead…finally. A few days later, though, the pool lights were back on. After a few more days of research, they finally realized that the switch controlling the pool light was in the playroom. A switch they originally thought controlled nothing actually was responsible for their pool lights. I bring up this story to say that sometimes you might have to do a little investigating to determine which switch controls the pool lights. However, once you find it, controlling your light is a piece of cake. But what about toggling between light shows? If you have a colored pool lamp then you are aware that most pool lights include stationary colors and colorful light shows. Now that you know how to turn on the light, let’s discuss how to change the color. Switching between the colors in your swimming pool light is actually very similar to turning the light on or off. 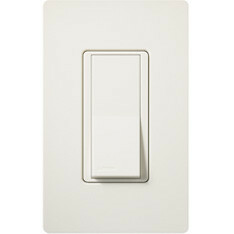 Flipping the switch initially turns your light on. Turning the switch off then on again will set the light to the second color. Repeating this procedure allows you to cycle through the various colors and light shows easily. Keep turning the switch off then on again until you have reached your desired setting. Let’s face it, everyone loves a bit of convenience. In fact, some people spend an arm and a leg just for a certain amount of convenience. Imagine if we had to get up and walk to the television set every time we wanted to change the channel (again). Thank goodness for remote controls, right? Pool owners around the world have a few things in common and one of those things is convenience. If you are interested in controlling your pool equipment, including your pool lights, from a single location, an automation system is the way to go. 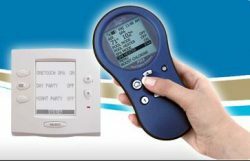 Pool automation allows pool owners to schedule pool pump cycles, heating, sanitation, lighting and much more from a single wall panel or remote control. The actual cost of an automation system is usually the one thing that makes pool owners anxious. Like I have mentioned, sometimes convenience can be costly. Typically, each automation system requires a power center, a LED pool light, and a controller. By the time you get all the necessary equipment you need in order to have full control, you’re well into $500 of your budget. Though, keep in mind, you have constant control and access to the rest of your pool equipment through your automation system as well, not just your pool lights. This is why we usually let the pool owner determine if the cost is worth the benefit. For pool owners who intend on controlling their pump, timer, lights, and water features, an automation system is definitely worth the extra money. For a long time, if you wanted to control your pool lights, an automation system was the only way to go and a rather expensive way to go. For some families, an automation system is simply out of their pool budget. That is no longer the case. [clickToTweet tweet=”The PureLine Pure Colors LED bulbs eliminate the need for pool owners to purchase automation systems.” quote=”The PureLine Pure Colors LED bulbs eliminate the need for pool owners to purchase an entire automation system”] if they’re only interested in controlling their pools lights. Pool owners have two options when choosing Pure Colors LED lights. Let’s determine which route is best for your pool. 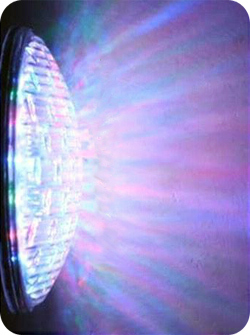 Let’s say you’re interested in the PureLine Pure Colors LED bulb but you don’t have one of the designated light fixtures? Well, this option is for you. The Pure Colors LED bulb and Pentair Amerlite fixture kit combines the PureLine LED bulb with the Pentair Amerlite Light Fixture. Pool owners still have the option to purchase the kit with or without the RF Remote control. This fixture kit is also ideal for pool owners who have trouble identifying which pool light they own. Walking out to your pool just to turn on your pool lights is a thing of the past. With the surging popularity of pool automation systems and new product lines like the PureLine Pure Colors LED bulbs, controlling your pool lights is a piece of cake.